Apple iPad mini 4 16GB, Wi-Fi only. Has some small surface scatches on the screen that you can hardly notice unless you look for them. Will come with a wall plug and charging cord. Works great! Shipped with USPS Priority Mail with insurance, and will require signature upon delivery. I'm only getting rid of this because I don't use it anymore. If you have any questions please message me! 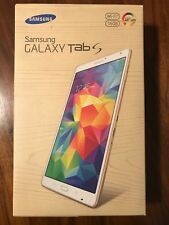 New Listing*** Brand New *** Samsung Tab A 10.5 2018 SM-T590 with Charging Dock !!! 7300 milliampere hours. Condition is New. With Charging Dock ! Take the silver screen along wherever you go with this black Samsung Galaxy Tab A. Galaxy Tab A (2018) - 10.5" - 32GB. Power adapter, charging cable, charging Dock. 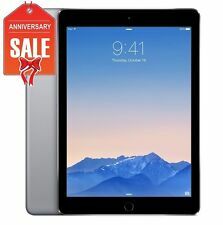 711 product ratings711 product ratings - Apple iPad 4 - 16GB - Black (Wifi) | 12-Month Warranty Included! Model: A1566. iOS 12.1.4. Storage: 16GB. Apple iPad Air 2 - Black and Space Gray. Very minimal/minor scuffs and scratches on back side. Screen is in great condition. Includes USB Lightning Cable Only. Brand New Factory Sealed Apple iPad mini 4 128GB, Wi-Fi, 7.9in - Space Gray Free Priority Shipping, ships same or next business day! Please feel free to ask any questions, thanks for shopping! Trending at $324.99eBay determines this price through a machine learned model of the product's sale prices within the last 90 days.